For the past few months, I have been drilling my Aiki Jo. Surely, mine is a tired jo! I have reached some personal conclusions, nothing profound or mind blowing, but I thought I would type this out so that my brain has room for more stuff. 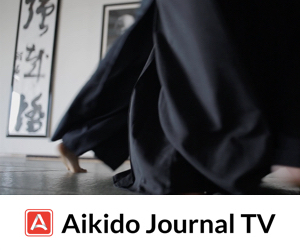 As I understand it, the jo of Aikido is a tool for self perfection. It has many lessons to teach, and many attributes to develop. Flexibility. The jo doesn’t have a set handle. It can be gripped with one or two hands. It can be held in the center or on either end. It can thrust, sweep, strike, whip, parry, hack, pin and throw. Any of those moves can flow to any other movement. There is probably no end to the ways that a jo can be used to practice. Awase. Learning to move along the length of the jo while working with a partner builds blending skills like no other. Sometimes you are close, sometimes you are far. Sometimes you hide the jo, sometimes you impose your will with its length. Sometimes you wield it with a powerful two-handed strike, other times you let one hand off of the jo for a sweep or parry. All of things happen while you try to fit in with your partner’s movements. Understanding. I have realized that the jo fosters understanding. By that I mean, as you increase your practice with it, you increase your understanding of what the jo is meant to do. That will probably be something personal for each person, what that purpose of the jo is. First and foremost to me, I use the jo to understand my taijutsu. 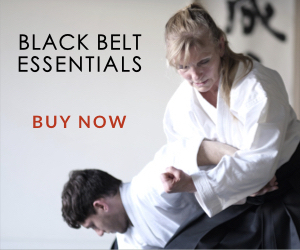 Things like hanmi, maai, kime, zanshin, kiai – they all get focused when I pick up the jo. The jo informs my overall approach to Aikido. Application. The jo is a severe tool with the proper understanding. My Kali and Military Combatives instructor once asked me to make some movie footage. The subject was tactical weapon retention. 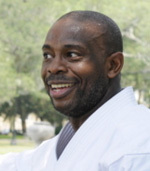 I was able to casually demonstrate principles and techniques involving the use of the short stick, knife, and handgun in situations where an attacker would seek to disarm you, and my instructor was more than satisfied. Every idea I used came directly from practice with the jo. The jo itself, in my opinion, is a practical item to learn because of its length. Anything longer than a jo is not really commonly found in my daily routine. I am always seeing brooms and pool cues anywhere that I go. Anything longer than that, I don’t usually see. Anything shorter than a jo, and that’s where the Kali kicks in. The advantage of the jo, in my opinion, is not the length, but the versatility of it. I can use the jo with one hand or two, as long range or short range tool, in conjunction with punches, kicks, locks, and throws. There are some that argue that Aiki Jo has little to do with actual fighting. I respectfully disagree. 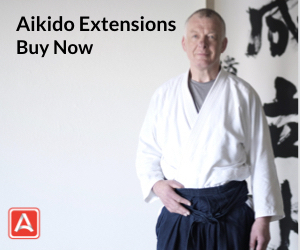 Here in France many of us believe that the jo is the most interesting weapon to learn aikido fundamentals and foundations. Just because as you say it has the best versatility of use. There is an other weapon longer than the jo, the bo. Much thicker, much heavier and 2m long. The jo has the best ratio of length/weigh/flexibility. Bit difficult to carry concealed. And there isn’t always a broom or a pool cue in the dark alley where the guy with the flick knife accosts you. An umbrella or walking stick (preferably accompanied by a big moustache, as in Bartitsu) can be very useful, but neither has the length or weight of a jo. Jo practice will still help, though. I actually find ken and jo practice a bit boring, even when practicing Sugawara”s kumijo, but it is, as the article points out, very good for improving posture, balance, footwork, etc. I should do more. I think Chuck raises a good point. Koryu jo is actually ambidextrous (at least as I learned a small piece of it) so I think that plays to combining jo and taijutsu better. I also found equal, bilateral practice more healthy. I also liked the opening and closing movements with the hands moving to the ends of the jo and then coming together with a new fulcrum as opposed to nearly always keeping my hands virtually handcuffed together and always with the same forces. I still remember being in the change room with a number of fencers and kendo students and being struck by how uneven their muscle development was in their arms and shoulders. 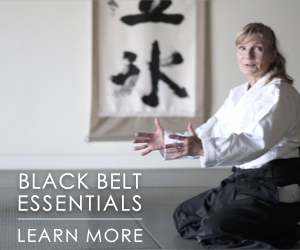 I’ve seen Iaido students and Kenjutsu students wearing bands on their forearms like they had developed tennis elbow. 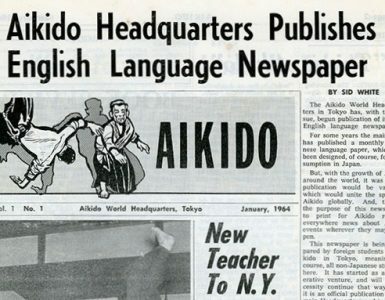 So much of Aikijo has been rapidly disseminated outside of the Saito family, so I don’t think everyone who teaches the 13 and 31 jo are actually following Saito and O Sensei teaching/training methods. The jo develops enough momentum that I don’t think it is healthy to just repeatedly strike the air with it with power. 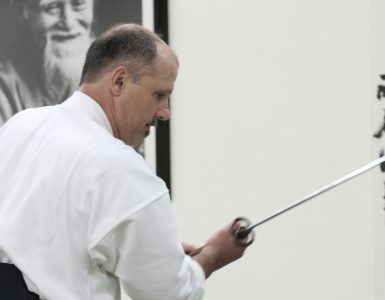 I have only been to one dojo with a striking surface set up for weapons – I understand the impact disperses forces rather than arm muscles being used to arrest motion. This instead of continuous movements where the momentum just continues through the movements – something I see clips of O Sensei doing, but that I only ever had one teacher show me. I think the jo is the healthiest aikido weapon to practice, and I think there are different taijutsu that celebrate different weapons. I am envious of what has happened in other arts like karate where different kobudo weapons and forms can be shared. 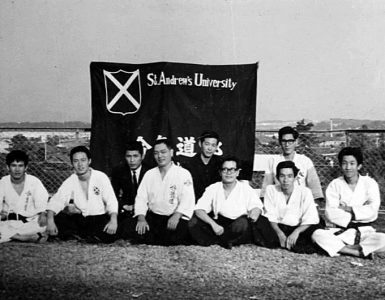 In aikido the Nishio, Birankai, Misogi no Jo systems, the Koryu kata in Tomiki Aikido and Shindo Muso Ryu and Seiti Jodo are all kept apart. The jo has a very broad heritage that few weapons could rival.